Word broke in the local football community soon after the turn of the year that Green Archers United of the United Football League had acquired the services of the iconic Philippine international midfielder Emelio ‘Chieffy’ Caligdong. I found the transfer more than just mildly interesting; and not least because the player’s movement was between the two local clubs that I follow. In a manner of speaking – or, at least, from my point of view as a fan – the transfer was something of a from-the-right-hand-to-the-left transaction. It does not significantly increase or decrease the sense of affinity that I feel for either club; and allows me to remain neutral when the two clubs play against each other. It also offers food for thought on the issue of player movement as local club football continues to grow and evolve; and probably asks questions about the future of the Armed Forces teams. While I feel happy for the Archers and look forward to seeing the Chief with them in the coming season, I also fervently hope that the Air Force will not be playing with a broken wing. Announcements of the move in online articles mentioned that a deal had been agreed between GAU and Caligdong. I checked several articles and none made mention of any negotiations with the Air Force. While I am not privy to the behind-the-scenes, I can imagine that Caligdong asked to be discharged from the Air Force – by which all Air Force players are employed as enlisted personnel – and once the discharge was granted, he became free to play for and receive compensation from other clubs. Essentially, the Caligdong transfer appears to be something that in Europe is called a ‘Bosman’; i.e. a player whose contract with his club has expired and is free to join another employer without the need for the new employer to pay the previous one a transfer fee. Here, the nature of the Armed Forces teams as football clubs in an era when there is renewed interest in the game as well as an influx of commercial funds falls into scrutiny. The question of for how long they can be competitive at the highest level is asked. In the case of Caligdong, if the Air Force was a normal football club instead of an adjunct to a large government organisation, a full international at the peak of his career would never have been allowed to walk for free. A substantial transfer fee would have been useful for finding a replacement or improving the payroll. I honestly do not know if a transfer fee was paid by GAU to the Air Force; but I really cannot see how. Even if GAU wanted to, the Air Force is essentially an ‘amateur’ team of enlisted men whose salaries are paid for their services as soldiers rather than as football players. Long term, as careers in football become viable to local talents without their having to enlist in the Armed Forces, can their teams survive at all at the top flight? This early, Caligdong’s transfer already shows the way for others. The Armed Forces clubs aside, I feel GAU’s capture of Caligdong is something of a coup and certainly raises the club’s profile significantly. The timing could not have been better for GAU as, a mere few days later, Caligdong was in Malacañang receiving his Outstanding Young Man Award from no less than the President of the republic. 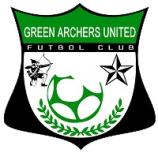 It is as though, having come within sight of the summit after losing narrowly in the semi-finals to Stallion Penson FC in the UFL Cup late last year, the Archers are making a statement of intent with the signing of Caligdong. Where GAU plays Caligdong will be interesting to see. Most of GAU’s good work is done down the left flank, anyway. An inverted winger, then? Perhaps a free role, as we saw him given to great effect by Michael Weiss in the second half of the semi-final second leg against Singapore at the Jalan Besar? It will also be interesting to see how Caligdong adjusts to a team that has a different approach to the game. With the Air Force, he was in a team that was gung-ho going forward but also needed to learn a few more tricks about compact defending and organisation. With GAU, he will be with a team that probably is at its most potent when it is soaking in the pressure from the opponents and looking to break quickly from the back. Here is where it gets interesting. GAU was already a quick team before the signing of Caligdong. With the latter, they will probably break the sound barrier! No individual is ever greater than a team; but Caligdong is one wing on which the Air Force had sailed for so long. He will not be easy to replace.